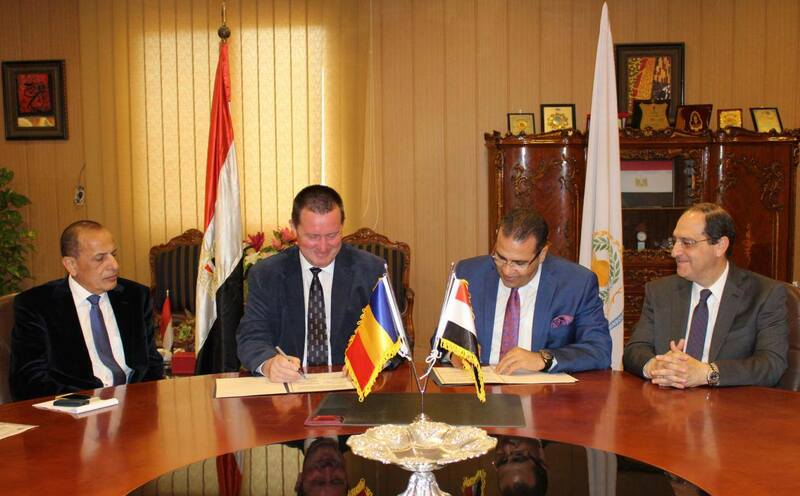 On Sunday 9th April 2017, prof/Mohamed Kenawy - President of Mansoura University, signed a cooperation agreement with Professor Demetro Kirlshan, President of Pitesti University- Romania, and Professor Georgetta Kirlshan -Professor of Nuclear Physics and President Assistant. 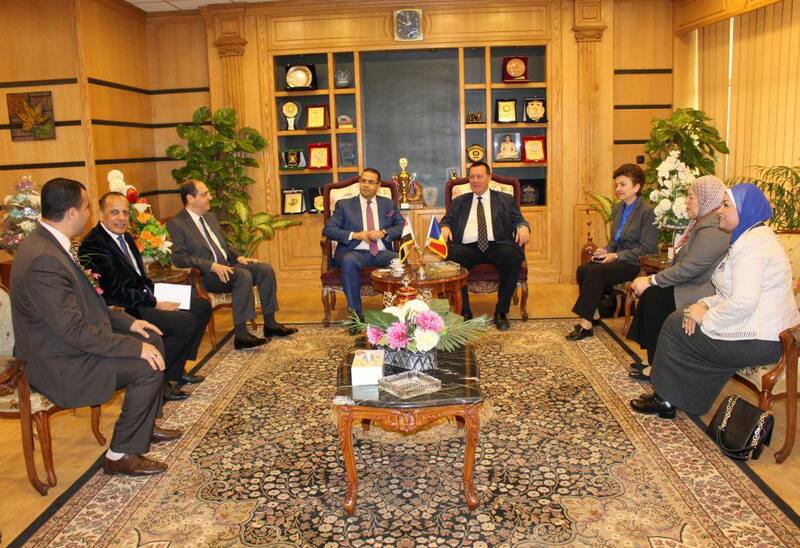 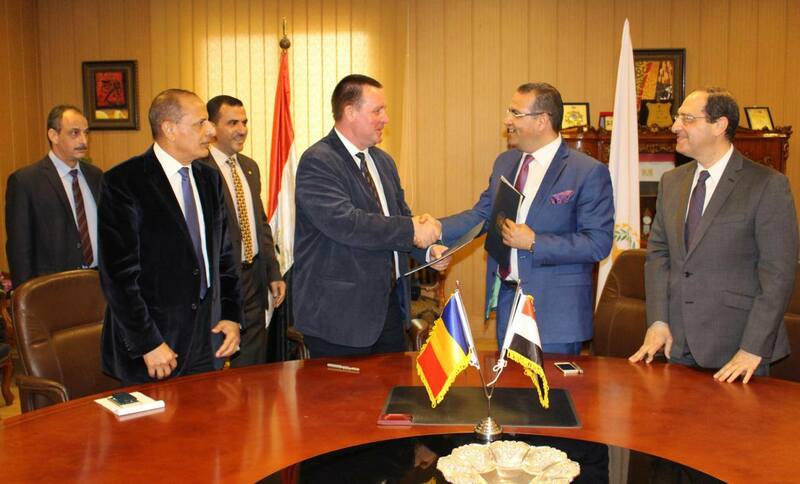 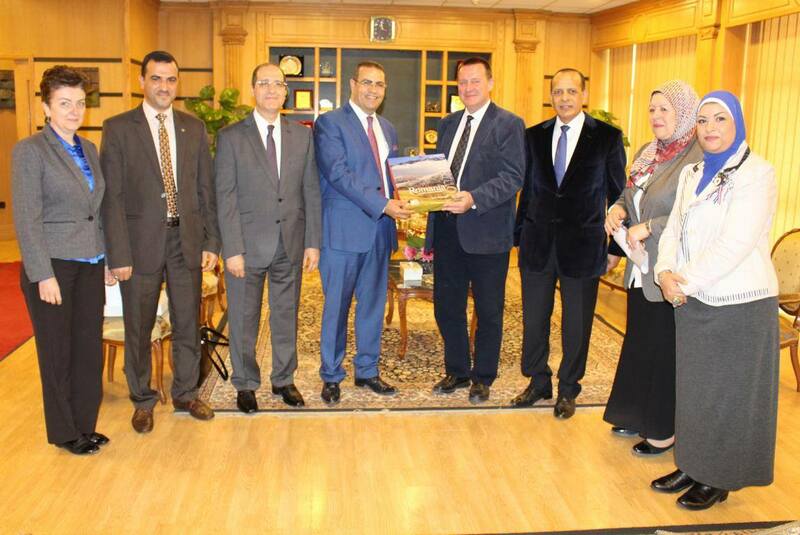 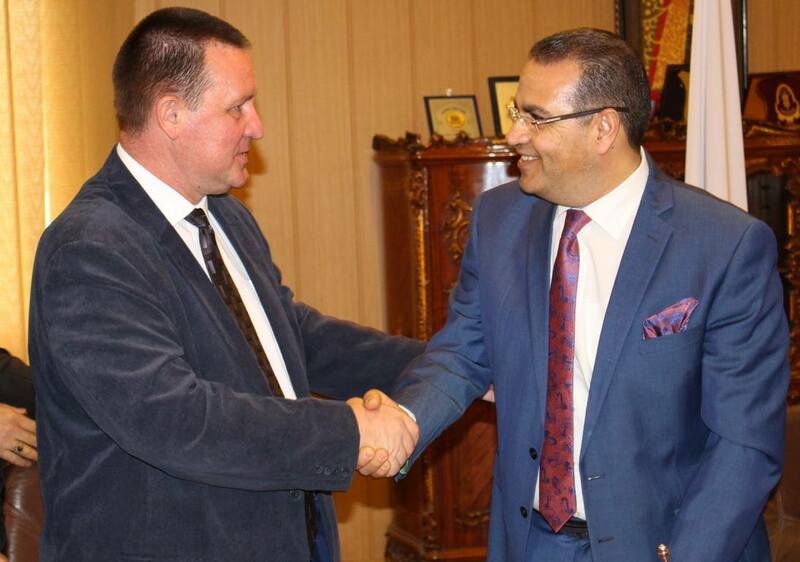 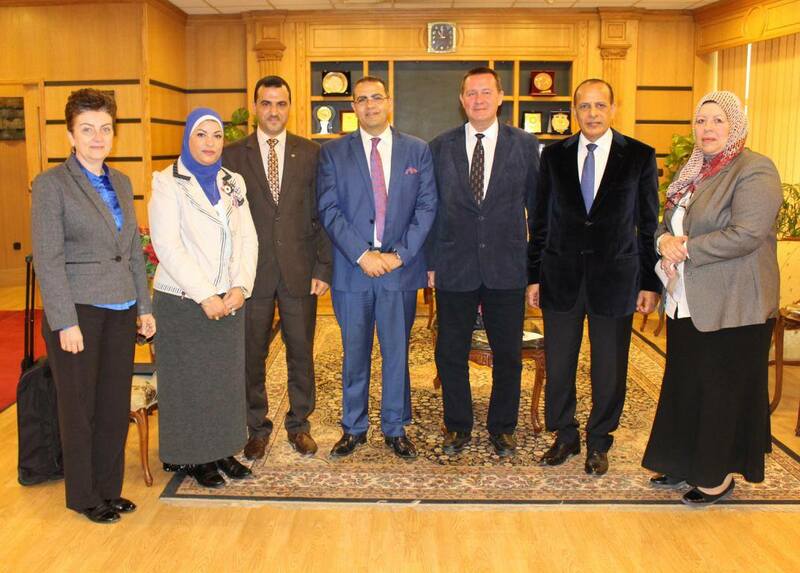 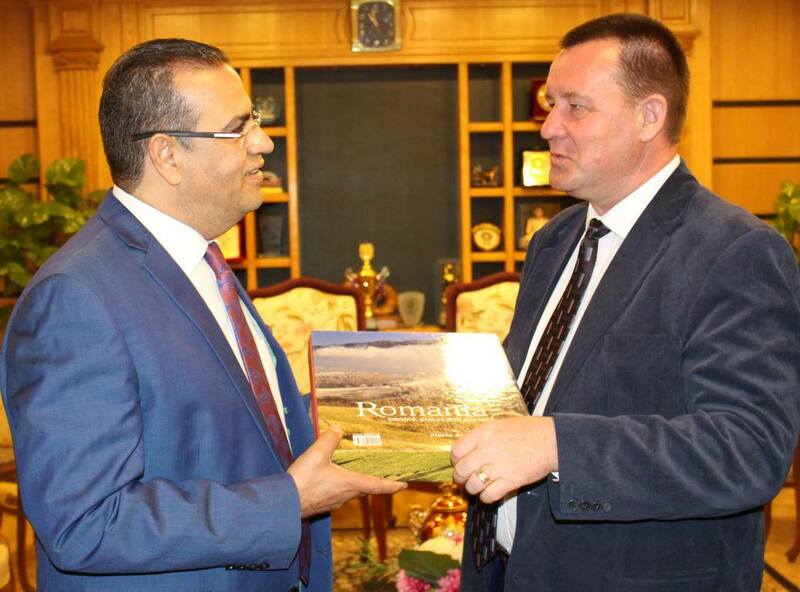 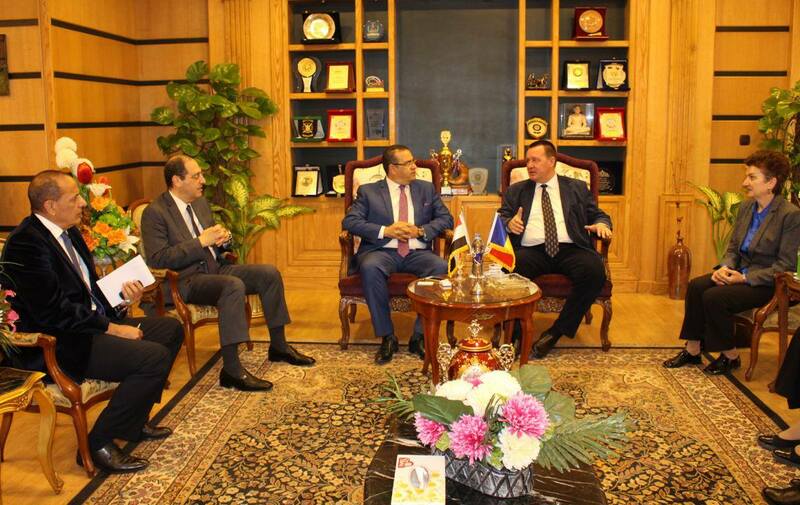 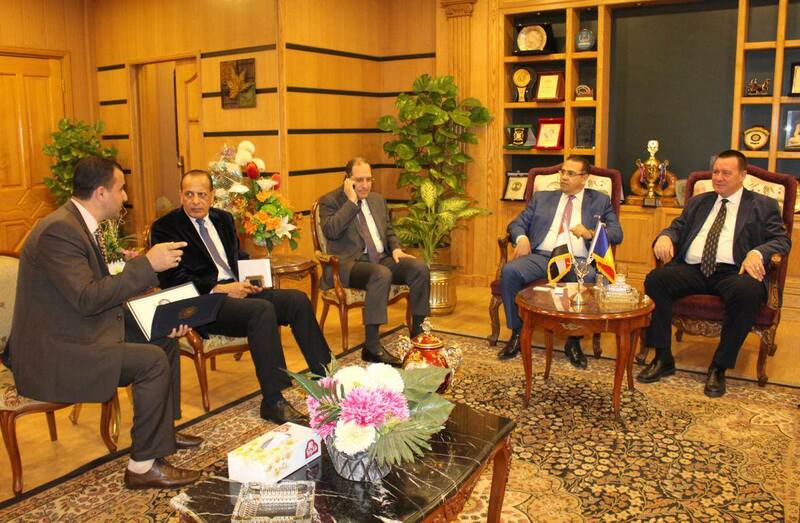 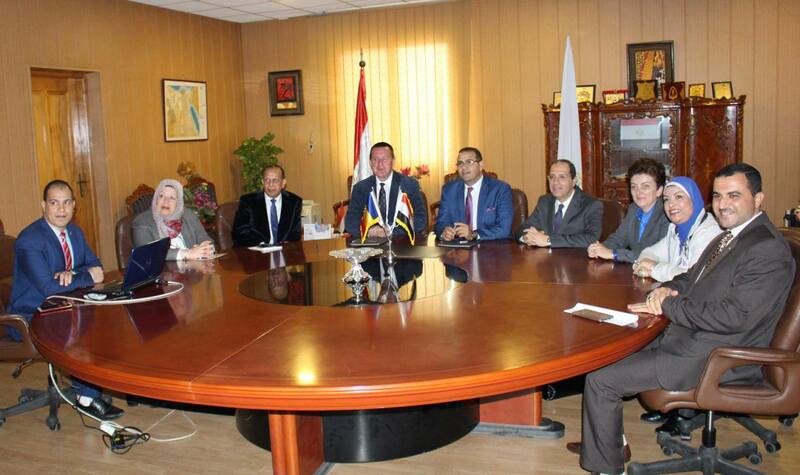 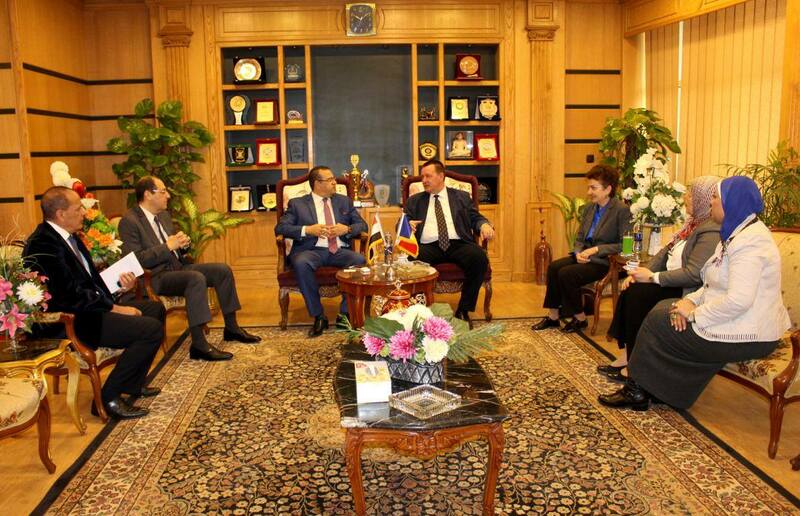 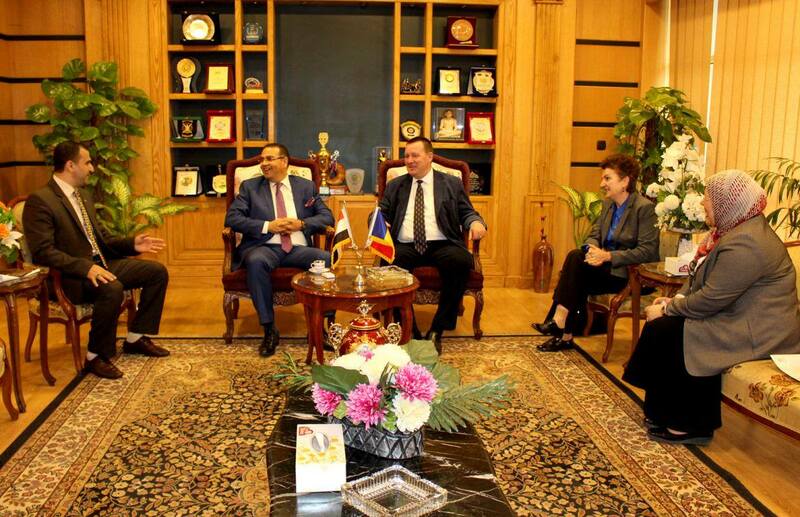 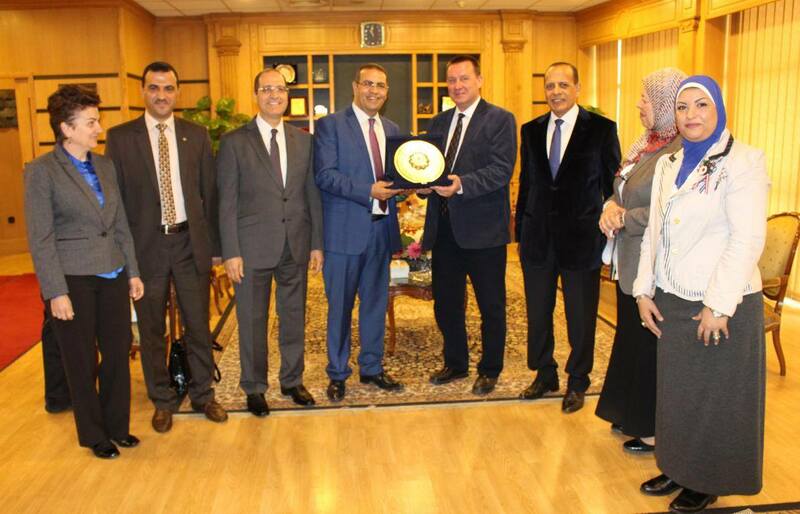 The signing of the protocol comes within the framework of activating the cooperation agreement signed by Mansoura University with the Pitesti University in May 2016, to include cooperation in all possible fields between the two universities. 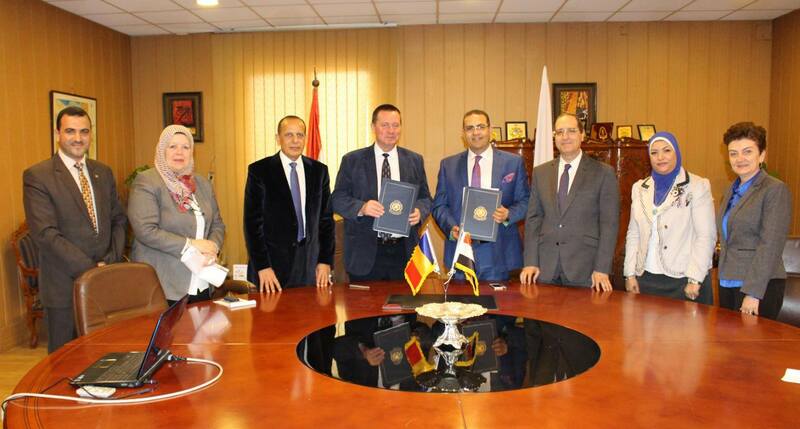 Mansoura University started the procedures of establishing two joint Master's degrees, the first is in the nuclear materials and its applications and the second is in the cars engineering. 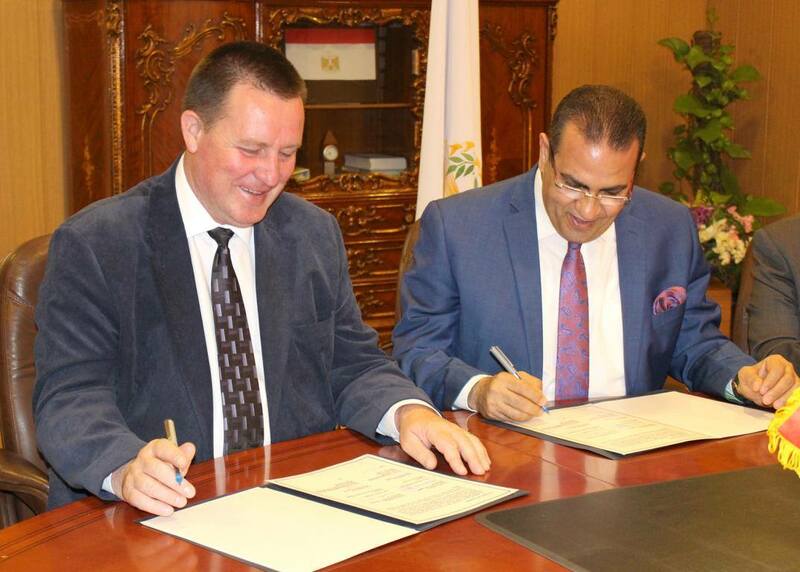 In the framework of activating the basic agreement, an agreement was signed in the field of nursing for joint training and educational programs that can be exchanged by both sides, exchange of experiences among professors and exchange of students to maximize the benefit of implementing the concluded agreements. 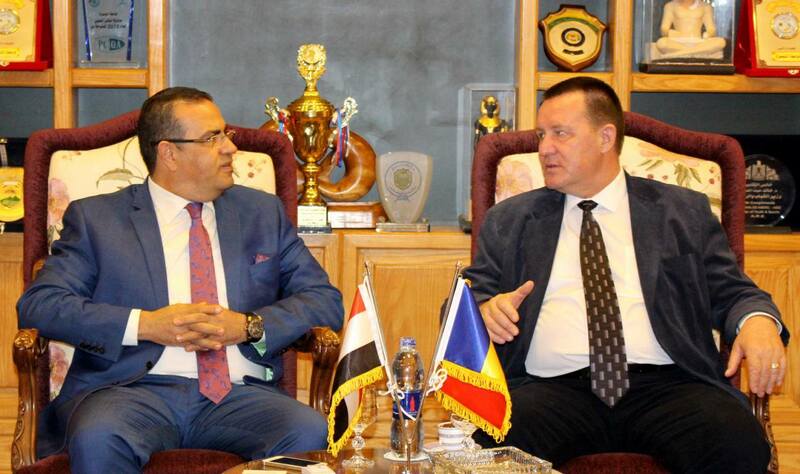 Prof/ Kenawy, stressed the importance of activating the agreements concluded between the university and many foreign universities to benefit from foreign expertise and knowledge transferring.